The median home value in Baldwin City, KS is $179,500. This is higher than the county median home value of $165,000. The national median home value is $185,800. The average price of homes sold in Baldwin City, KS is $179,500. Approximately 60.48% of Baldwin City homes are owned, compared to 30.67% rented, while 8.85% are vacant. 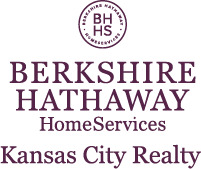 Baldwin City real estate listings include condos, townhomes, and single family homes for sale. Commercial properties are also available. If you see a property you’re interested in, contact a Baldwin City real estate agent to arrange a tour today! Learn more about Baldwin City Real Estate. Swanky, colorful & well loved/improved manufactured home located in the heart of Vinland Valley south of Lawrence on 7.3 acres. The current home owner has renovated this home extensively. Over the last several years the kitchen and bathrooms have been transformed. Every surface has been touched. The roof has a NEW metal roof and it has the BEST OF SHOW front porch. The next steward will surely enjoy there time here. Who's next? Great Townhome w/Updated Kitchen, 1 Bedroom on Main Level & 2 Bedrooms Upstairs. Main Level bath has New Walk-In Jacuzzi Bath Tub. This Home has Been Lovingly Cared for w/Laminate Floors, Nice Paint Colors & 1 Car Garage. Home has Large Deck & Good Sized Yard. There is NO Monthly HOA to Worry About. Do Yourself a Favor & Dont Miss Out on This One, It Will Not Last Long! Charming and unique property w/private half acre treed lot on dead-end street. Cedar siding, wood burning fireplace in living room, partially finished walk-up basement w/ pellet stove, beautiful wood beams w/vaulted ceiling. New flooring on 2nd level and all new interior paint.. Main level laundry/bonus room, flag stone patio, several storage buildings, and landscaping. Peaceful location close distance to Baldwin Elementary Schools. A one-of-a-kind property! Charming and unique property w/private half acre treed lot on dead-end street. Cedar siding, wood burning fireplace in living room, partially finished walk-up basement w/ pellet stove, beautiful wood beams w/vaulted ceiling. New flooring on 2nd level and interior paint throughout in 2017. Main level laundry/mud room, flag stone patio, several storage buildings, and landscaping. Peaceful location within walking distance to Baldwin Elementary Schools. A one-of-a-kind property! Spacious Walk Out Ranch Style home in Firetree Estates! Beautiful setting, backing to a wooded area. Great location, close to schools on a low traffic street! Vaulted Ceilings, Fireplace and a recently remodeled basement area. Walk-out ranch home. Main level features living room, formal dining room, kitchen/dining room, laundry room, master suite with 2 additional rooms. Basement includes large family room, 4th bedroom and spacious office. 1925 Brick Bungalow on corner lot loaded w/ character. Inviting front porch, NEW roof & exterior trim paint 2019, Beautiful built-ins & woodwork, hardwood floors, wood burning fireplace, kitchen update w/ granite countertops, farmhouse sink, stainless steel appliances, quaint breakfast nook, nice bath remodel, 2nd floor master bedroom, finished basement w/ exercise room, detached 2-car garage plus 22x30 heated man-cave & fenced backyard. Charming craftsman bungalow located next to downtown Baldwin City! Original finishing throughout, with modern updates in kitchen, bath, and upstairs bedroom. Built-ins in dining area, second kitchen space in basement, & great outdoor space! Sun-room off of front covered porch/dining area, and mudroom off of back deck/kitchen area! Roof is 6 mo old. Ranch home with full unfinished basement. Hardwood floors throughout. Master bedroom has large master bath w/ walkin tiled dual head shower. French doors open to a private backyard with shade trees and green space which makes for a welcoming place to entertain. Possible 4th nonconforming bedroom on the main level. Updated paint throughout, new carpet, new windows, and roof are just a few of the many improvements. Located in a quiet neighborhood just a short walk along the brick road to downtown Baldwin. COUNTRY IN THE CITY. UNIQUE Baldwin City property, one level living in this 1920's bungalow. UPDATED family home with 3 Bedrooms, 1 Bath, plus Bonus Room/Office; eat-in Kitchen, Utility Room, and Enclosed Porch. All the charm with hardwood floors, large windows, original molding. INCREDIBLE over-sized yard with shade trees and garden; one car garage plus attached tool shed. PLAYSET STAYS. Unique one-of-a kind home, filled with detail & character. Stunning kitchen with natural light that opens to the living room. Decorated beyond belief!!! Backyard has multiple flagstone patios, a fire pit with woods behind and a yard that goes behind multiple properties to the south. 3rd bedroom is a non conforming bedroom in the loft. Most furnishings (minus artwork) are negotiable. Unique one-of-a kind home, filled with detail & character. Stunning kitchen with natural light that opens to the living room. Decorated beyond belief!!! Backyard has multiple flagstone patios, a fire pit with woods behind and a yard that goes behind multiple properties to the south. 3rd bedroom is a non conforming bedroom in the loft. Most furnishing minus art work are negotiable. Secluded country estate amidst 100 acres. Home is strategically situated overlooking sprawling pond, custom built in 1991, all brick home with quality construction, 5 BR, 6 Bath, plus sewing room, 2 family rooms, 2 solariums, 14x25 covered patio, finished walkout basement with rec room, masonry fireplace, wood stove, geothermal ground source heat, beautiful acreage w/ native grass, timber, and pasture. Plenty of wildlife-even an armadillo! Home was pre-inspected report available. Wonderful panoramic views of a private lake located within the city limits. New impact resistant shingles. Exterior repainted 2017. All bedrooms are located upstairs. 5th bedroom can be used as an office or a bedroom. Updated Kitchen with Granite counter tops and stainless steel appliances. Newer carpet. Walk out basement with a brand new bathroom that was just added. Basement is all already framed where you add an additional 1000 sq. ft. finished more or less. Nice 2-Story home on corner lot, updated electrical, double-paned vinyl windows, vinyl siding, Corian kitchen countertops, stainless steel appliances, spacious laundry/mudroom, main level master bedroom, storage building and 4-Car garage w/ shop. Property sold in as-is condition. Enjoy this beautiful 3 bedroom, 3 bath 1920's home in beautiful Baldwin City! This spacious home is only a few blocks from downtown and has a lovely front porch, updated kitchen with gas stove & pantry, hardwood floors, wonderful laundry room, sun room, detached garage, fenced yard and more! Hurry to schedule your appointment to see this home today! Pristine, custom built, one owner home located near schools & park on beautiful treed lot. Offering 4 bdrm, 3.5 bath with space for mud room off garage, plenty of natural light, beautiful custom trim, and oversized garage. New interior paint, exterior stain, roof, & gutters. This property includes an optional 2nd lot located at the end of Parkside Ct cul-de-sac, perfect for an extra garage, play area, or outdoor entertaining, located in partial flood zone. SEE add'l remarks. Pristine, custom built, one owner home located near schools and park on beautiful treed lot. Offering 4 bdrm, 3.5 bath with space for mud room off garage, plenty of natural light, beautiful custom trim, and oversized garage. New interior paint, exterior stain, roof, and gutters. This property includes an optional 2nd lot located at the end of Parkside Ct cul-de-sac, perfect for an extra garage, play area, or outdoor entertaining, located in partial flood zone. SEE add'l remarks.